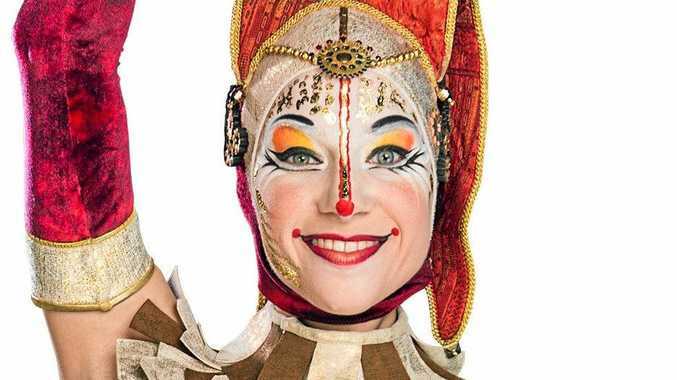 PERFORMING with Cirque Du Soleil in Kooza has allowed Aussie Laura Kmetko to travel the world. "I've seen so many parts of the world now that I never thought I'd be able to travel to. It was always a dream of mine to get to Europe, so joining halfway through the European tour was amazing," she says. "I got to visit a small town in the south of Austria where my dad was born ... those kind of experiences would have been almost impossible without this life. "What I enjoy about the touring lifestyle is discovering a city and then even for four or five weeks making it your home. You can feel like you've lived in Dusseldorf and London and Berlin." One of two Australian acrobats in the show's cast, Laura performs high-flying stunts in the opening Charivari number and as part of the impressive teeterboard act. "I'm never afraid they're not going to catch me," she says. "Sometimes my foot will fly out of one of their hands but I always come down with a smile on my face. "When that does occur I think the audience can relate to the bravery (of the performers) because there's no safety net." 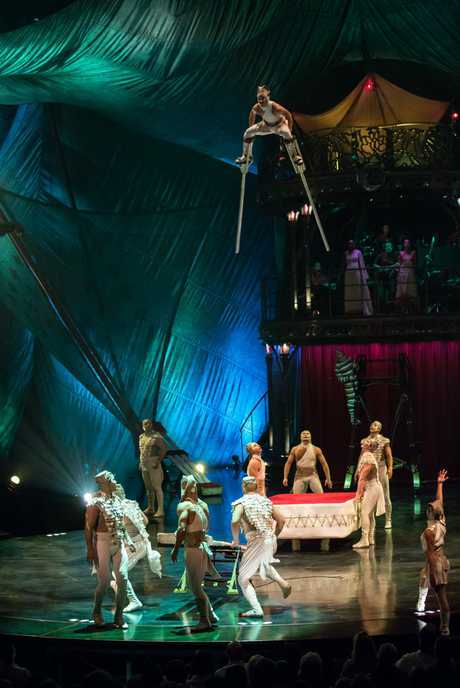 The 32-year-old former elite gymnast has been on the road with Kooza for three years. Laura originally auditioned for Cirque Du Soleil more than a decade ago with her twin sister Rachel, who performed in the Las Vegas-based show O, and patiently waited for a spot with the Toronto-based company to open up. "After I finished up with competitive gymnastics I decided this (the circus) was still in my heart and I wanted to do it," she says. "I started full-time training in a circus arts degree at 27. I wanted to be able to tell my kids (one day) that I gave it a go and I still had it in me." Laura believes Brisbane audiences will appreciate the show's traditional circus elements. "It's simplistic in its delivery but it's at such a high level," she says. "What I think is touching is you can get to a more simplistic place in people's hearts through the traditional skills." Joining the Kooza cast for the up upcoming Queensland season is Brisbane-born gymnast and Olympian Lisa Skinner. She will take over one of the key solo acts, the Aerial Hoop, after previously performing in another Cirque show, Quidam. Lisa had been approached by Cirque in 1997 and again in 2000, when she became the first Australian gymnast ever to qualify for an individual event final at an Olympics in Sydney, but twice she turned down the world-famous company. "I thought joining a circus meant caravans and elephants, and I didn't want that," she says. "I wanted to continue my career as an elite gymnast, to see how far I could go." Finally after her third Olympic appearance in Athens, Lisa agreed to join Cirque after investigating what the company was all about. Kooza's opening night on Thursday will be the first time Lisa has performed in front of her hometown crowd. "This is my first time in a solo act with Cirque du Soleil, and yes, it's daunting," she says. "There is no one to share the load, no one to shift focus, the full weight of the audience lies with me - and I guess that's why they called me; this is what I do. I've done it since I was six." You can see Kooza at Skygate near the Brisbane Airport DFO from this Thursday to January 8.